Artcrafts Engraving has been providing printing plates for the graphic arts and printing industry since 1913. 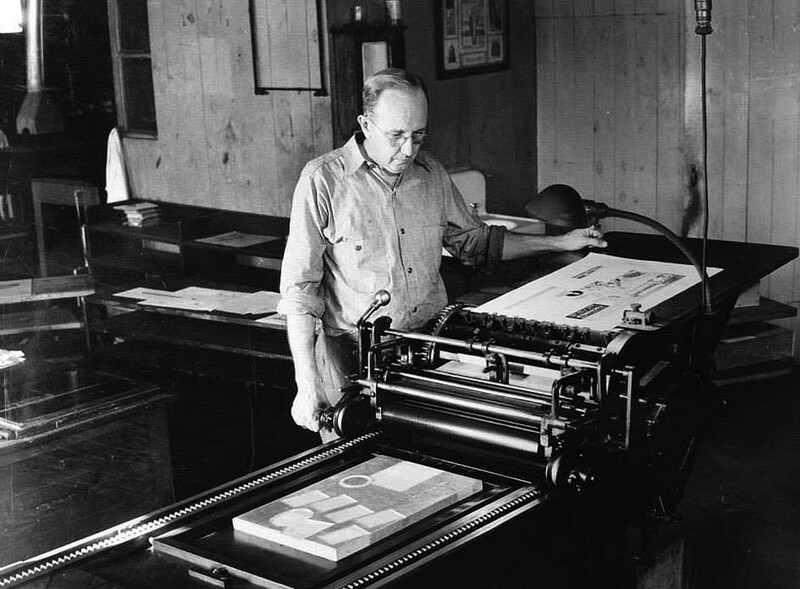 We’ve provided magnesium engravings, photopolymer flexographic plates, and letterpress plates. 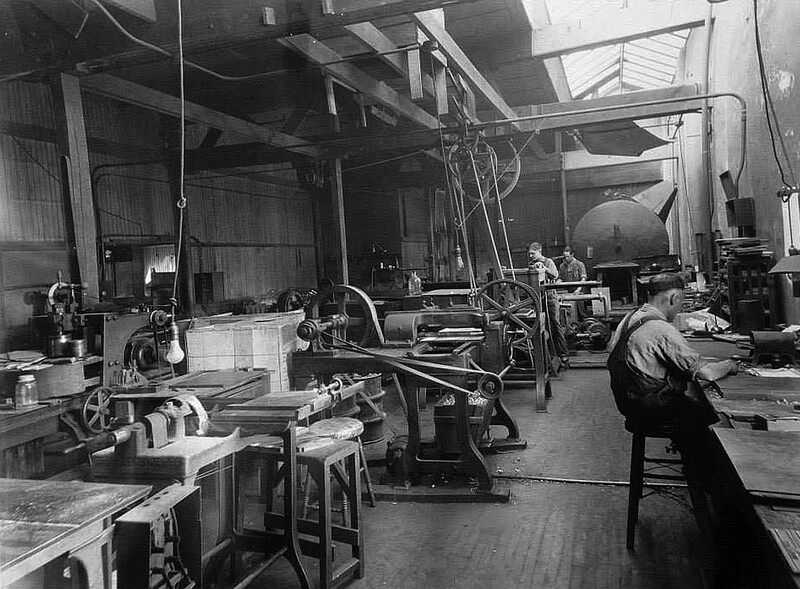 Our long history goes back to the first meeting of Art Craft held on September 18, 1912. 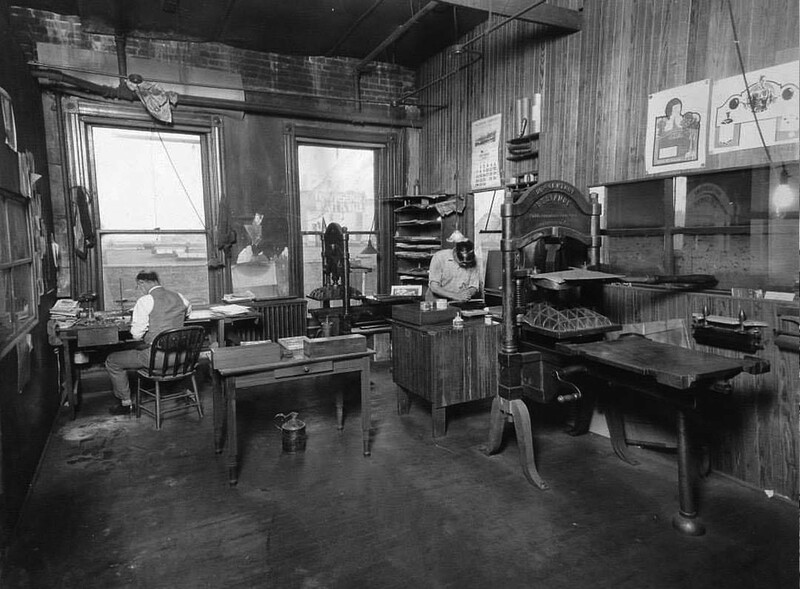 W. H. Guenther Sr. joined the company in 1913 and it became Artcrafts Engraving. Artists were an important part of the company from the beginning. Advertising, layouts, illustrations, and retouching were skillfully handled. 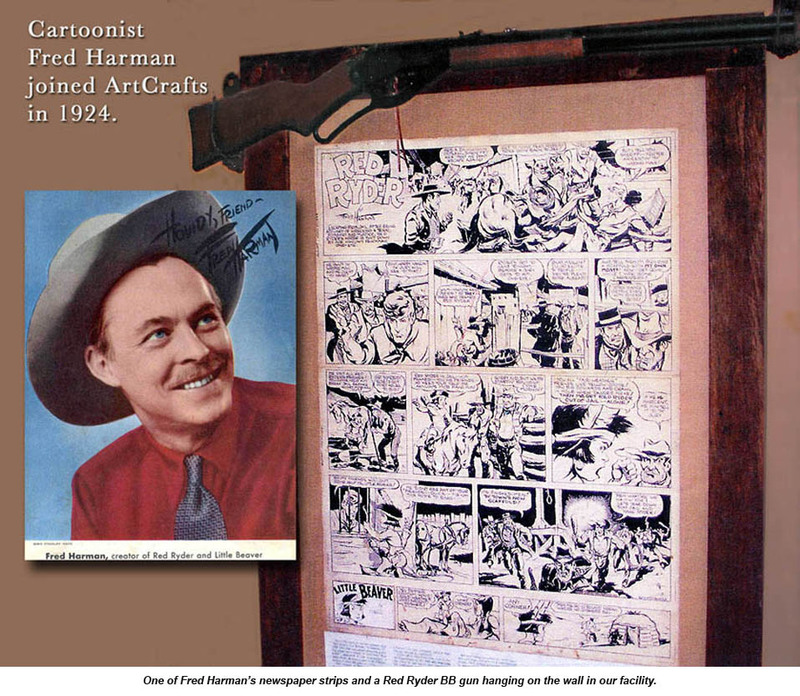 Fred Harman, one of our artists, became a famous cartoonists. 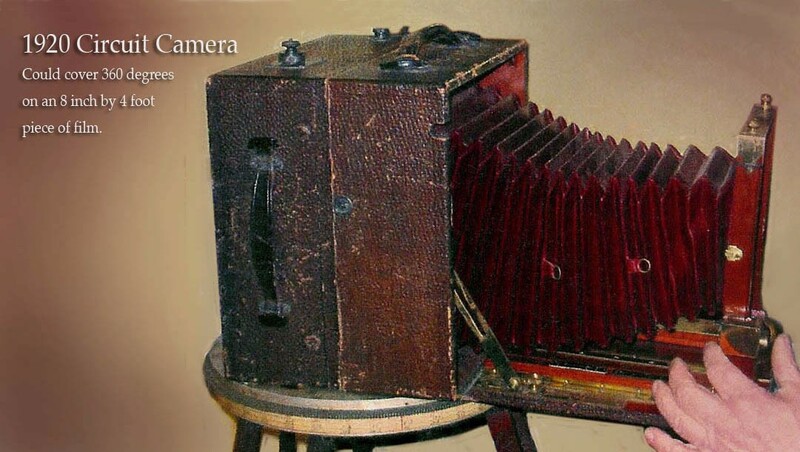 In 1918 a photographer was added. Furniture, stationery, candy, chickens and many other items were photographed. 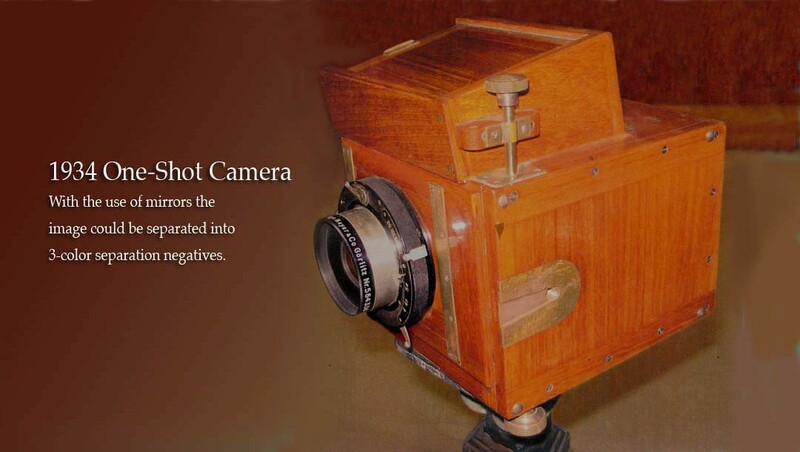 Many types of cameras were used. (click to another page) Photographs were in black and white up to then. 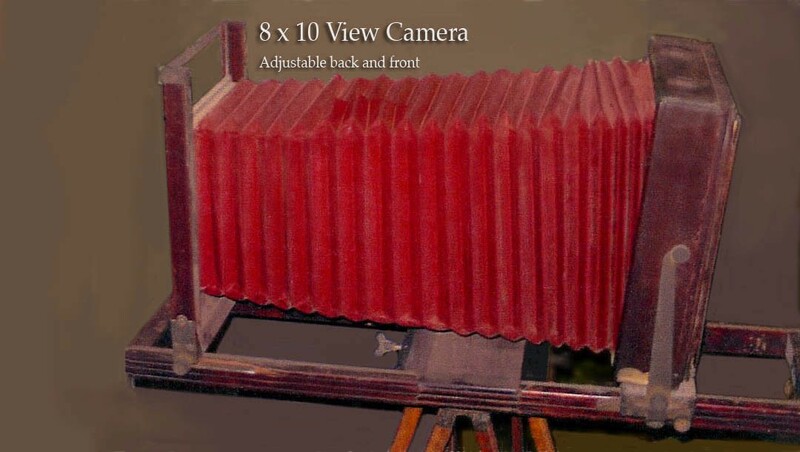 Color was added to photographs by hand. Soon an electrotype foundry was added. 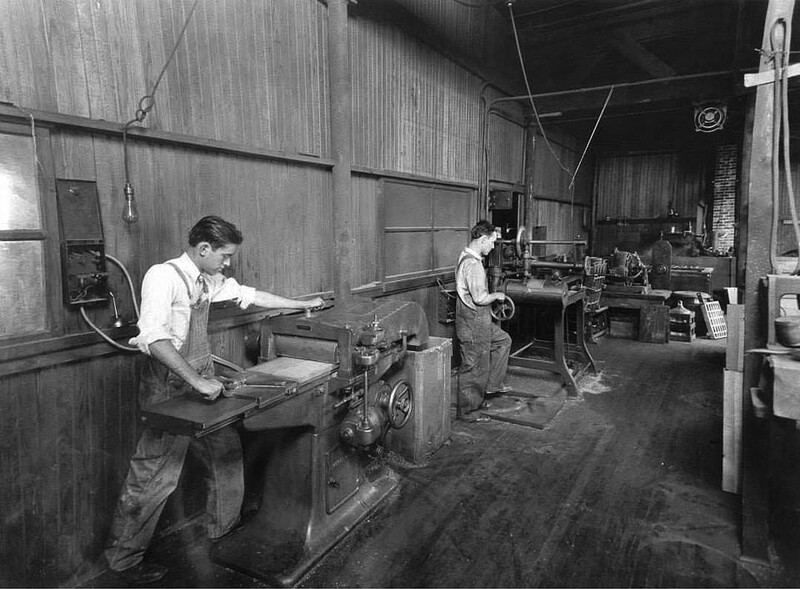 Countless electrotypes were made of the famous Big Chief tablets produced by the Western Tablet and Stationery Company in Saint Joseph. College and High School Yearbooks were an important part including the Nebraska Cornhusker and the Missouri Savitar. Artcrafts designed stationery and made brochures for Western Tablet. Four color photography and color separation engravings were important products. Sometimes black and white art was made and converted to 4-color engravings. Photographs were taken with 4 filters staged and dot etched on copper. 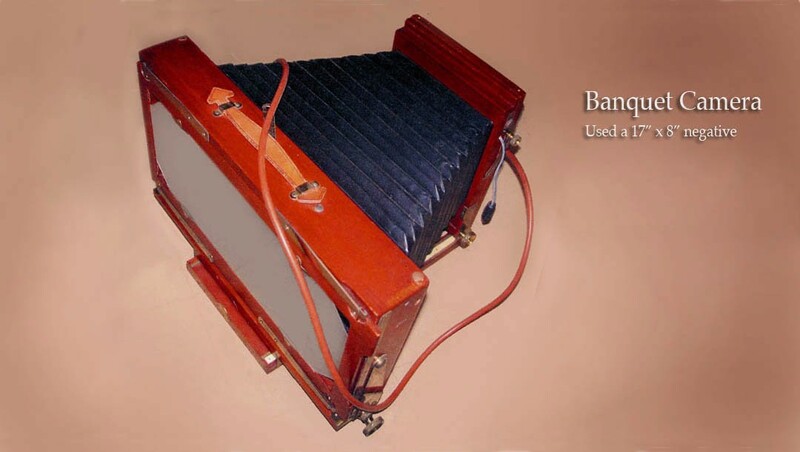 Artcrafts was one of the first to make photopolymer (flexographic) printing plates, starting in 1975. Our water washout system provides excellent plates without the hazards and environmental problems of plates that are washed out with solvent. We continue to serve the graphic arts community with longtime customers in many states. Fred Harman worked with Walt Disney before Fred joined Artcrafts as an artist in 1924. One of his paintings was of a red-haired cowboy. After two years he went out to Hollywood and again worked with Walt Disney. His red-haired cowboy became the Red Ryder comic strip. It was published in 750 newspapers, featured in 18 movies, on radio, and with 40 different products including Daisy’s Red Ryder BB guns. On TV you may have seen the movie, Christmas Story about a little boy who wants a Red Ryder BB gun for Christmas, with the father arguing “you’ll shoot out your eye.” Read more about Fred Harman Fred Harman article and at the Fred Harman online museum. Through the years Artcrafts Engraving worked with the University of Nebraska in the production of their annual yearbook. ‘The columns of Parthenon stand today revealing to mankind the splendid beauty of art. A beauty radiating history and art of skilled builders of more than twenty centuries past. In the 1929 University of Nebraska Yearbook the editor gives a special thanks to Artcrafts Engraving Company. 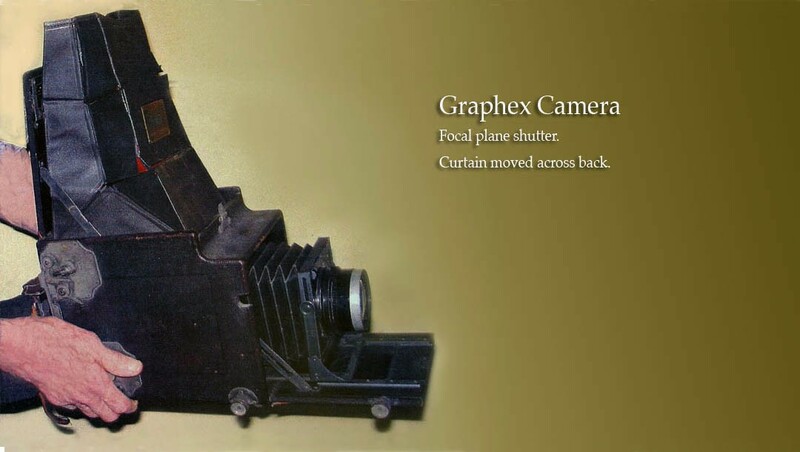 Many unique cameras were used by Artcrafts. 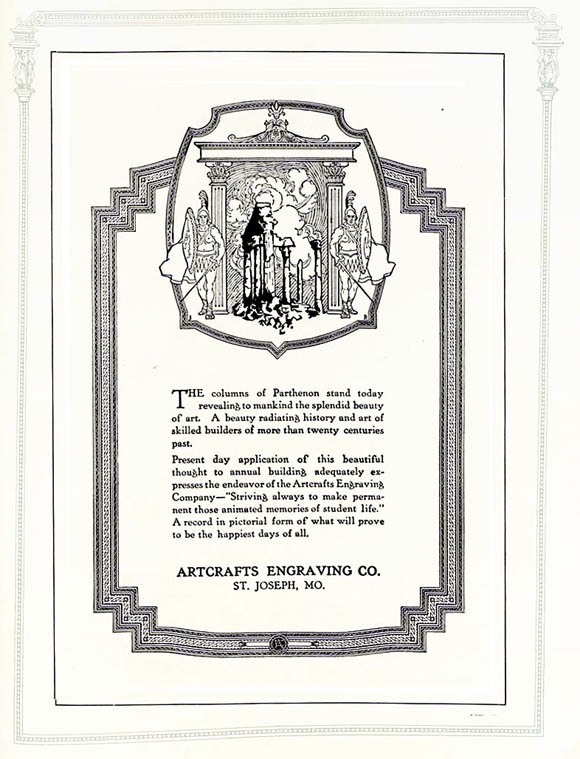 Artcrafts photos from 1914, the year after W. H. Guenther, Sr. became a partner in the company. 224 1/2 S 8th St.